Battle to cool nuclear reactor Jump to media player Japanese technicians are battling to lower the pressure in a second nuclear reactor at Japan's earthquake-damaged Fukushima power station, which was hit by a big explosion on Saturday. 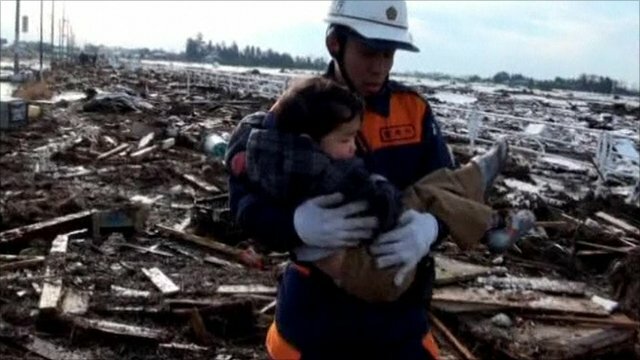 Japan's rescue operation under way Jump to media player Japan's rescue operation has started a day after the country was hit by a massive earthquake. 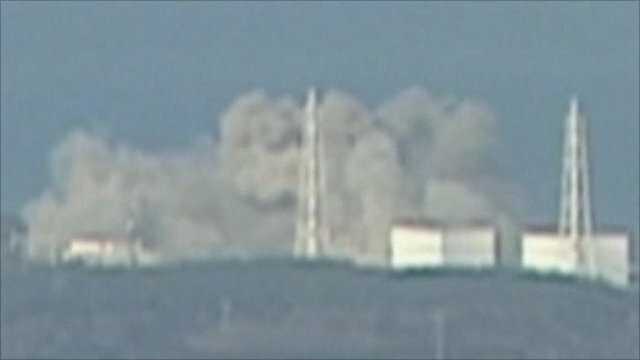 Footage of blast at Japan nuclear power plant Jump to media player An explosion is reported at a Japanese nuclear power plant where a meltdown is feared as a huge relief operation continues after Friday's devastating earthquake and tsunami. Japanese technicians are battling to lower the pressure in a second nuclear reactor at Japan's earthquake-damaged Fukushima power station, which was hit by a big explosion on Saturday. Officials say reactor 3 lost its emergency cooling system. A similar problem led to a blast at reactor 1 at the plant on Saturday. 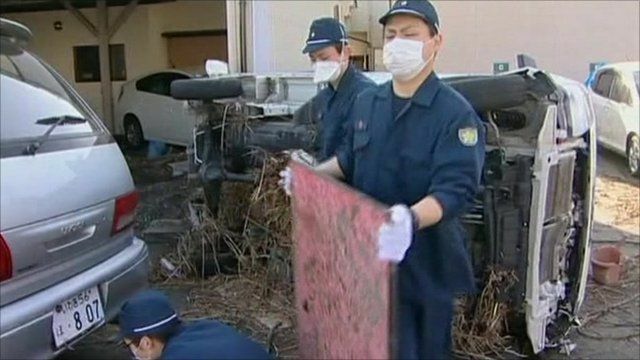 About 170,000 people have been evacuated from the area near the plant, as Chris Hogg reports from Tokyo.